It’s bitter cold in parts of the US, but climate scientist Dr. Michael Mann explains that’s exactly what we should expect from the climate crisis. Wry note, when the weather gets hot or stormy, most global warming scare mongers claim that is proof of anthropogenic global warming. On the other hand, when the temperature gets cold, they claim the science is complicated. 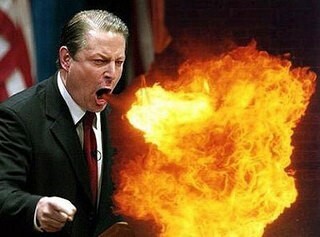 Not so Algore, it all carbon, all the time.